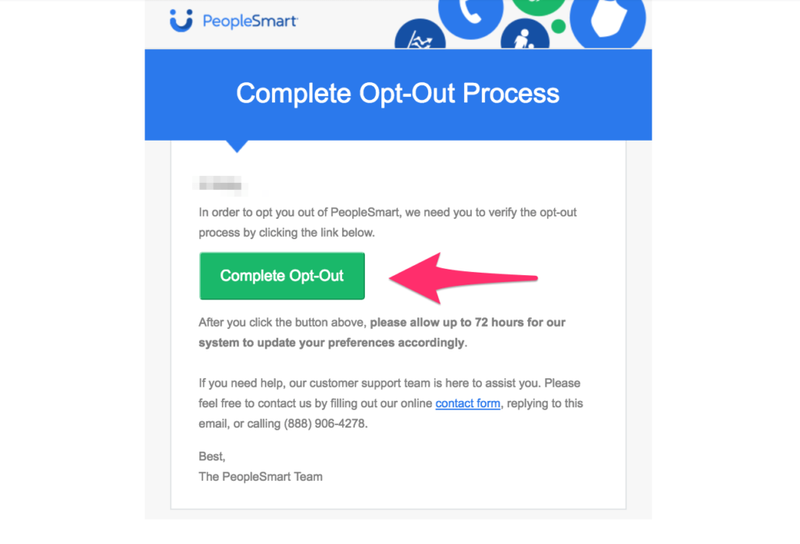 [Big Update]: We just released a brand new software feature that will automatically complete the PeopleSmart opt out process for you (and do the same for 20+ other sites just like it). Give it a shot by heading over to this page. Opting out of PeopleSmart is something we highly recommend if you want to keep your personal information private. One of the reasons why PeopleSmart is so popular is that they often reveal more details about a person for free than similar sites. A lot of people searching websites hide significant amounts of information behind paywalls, but not PeopleSmart. This is why completing the PeopleSmart opt out steps is so important. Without a paywall, your information is accessible to literally anyone with an internet connection. This is very troubling if you want to maintain your privacy. 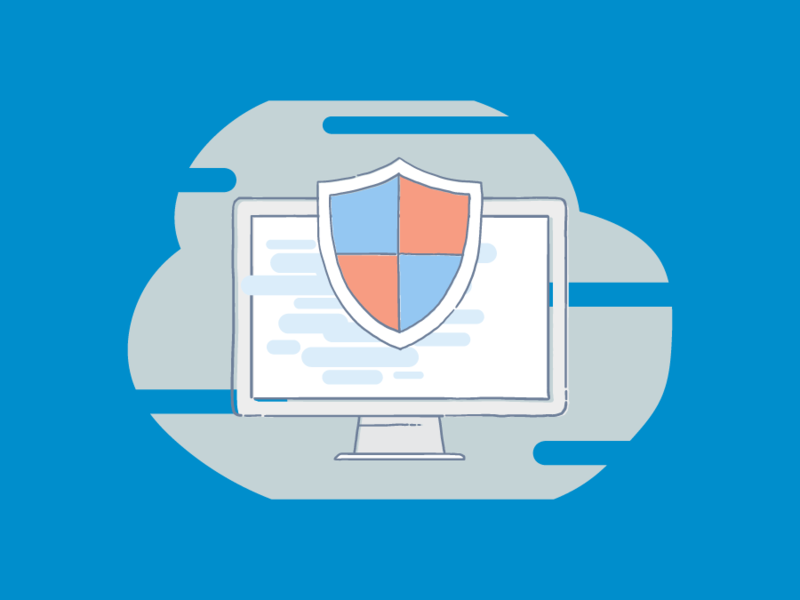 Even the lowest of costs can help reduce the number of malicious attempts to access your personal information. It’s still not ideal, and we recommend you opt out of all people search sites no matter if they charge money or not. By PeopleSmart making the decision not to charge money on the front end, they’re opening up the floodgates and putting your privacy (or security) at risk. Before we show you the easiest way to quickly complete the PeopleSmart opt out process, let’s get some of the basic information out in the open. What Does PeopleSmart Say They Do? 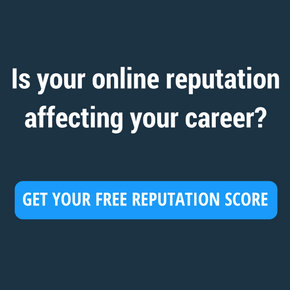 People use background check and people search companies like PeopleSmart for any number of reasons. According to this site, the personal uses range from rekindling old flames, to finding former classmates and childhood friends, to connecting with those who are in your hobby group. PeopleSmart also offers services specifically designed with more professional uses in mind. PeopleSmart PRO claims to aid professionals like lawyers and realtors to identify leads, verify client information, gain greater access to public records, and more. While it’s true that PeopleSmart does sell and provide these services, there is a seedy side. And it’s the whole reason why you need to go through the PeopleSmart opt out steps. People search sites like PeopleSmart are used every day for the sake of identity theft, hacks, and spam. Private information is found on these sites and used directly by (or sold to) people with malicious intent. This means you need to get off PeopleSmart as soon as possible. We hinted at this a little bit earlier, but it’s time for the big reveal. 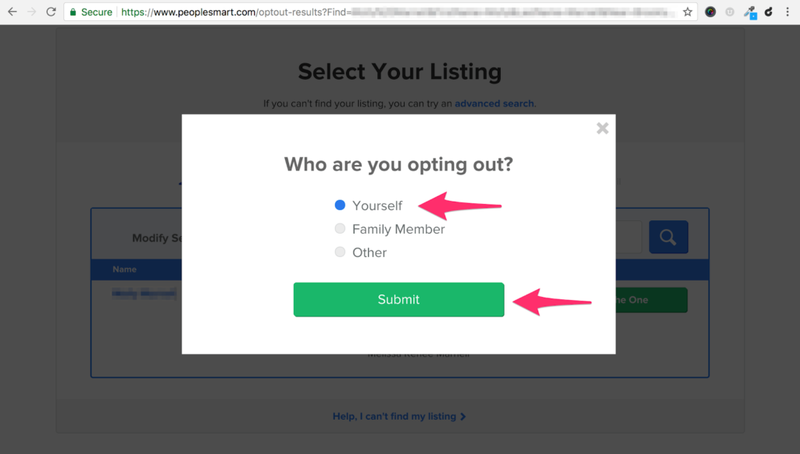 We recently added a new feature to our software that will automatically opt you out of PeopleSmart and 20+ other people search sites. As a matter of fact, it’s quickly become one of our most popular features already! Removing yourself from PeopleSmart with our software only takes three quick steps. We’ve added this new feature that allows you to automatically complete the PeopleSmart opt out process into your existing account. If you don’t have one yet you can create yours here. 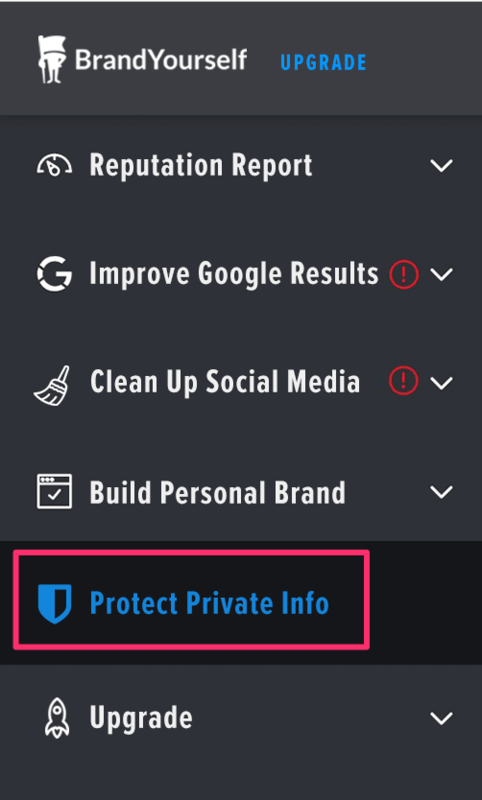 We’ve added a new section called “protect private info” to the left-hand side of your dashboard. Click on this section to proceed. Once you’re there clicking the blue button will start up the process for you. 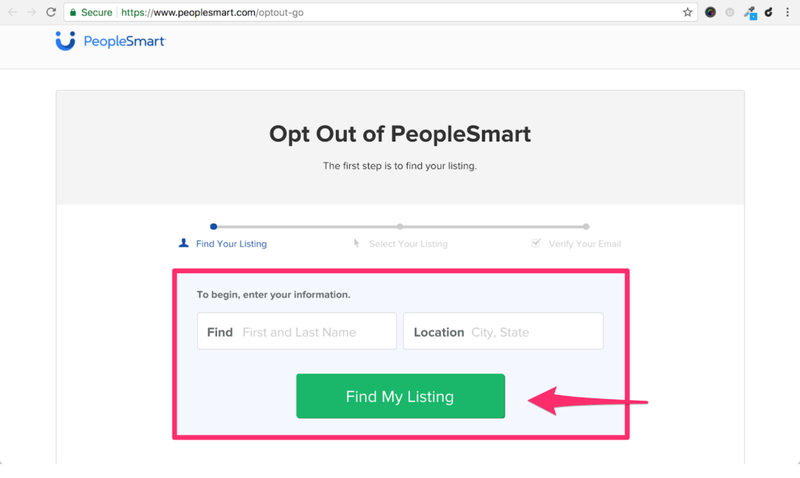 We will send out removal requests to all of the most important people finder websites you need to opt out of, including PeopleSmart. After this has been done you can come back to this section later on to check on the progress of your removal requests. This can take up to a few weeks for sites to comply with (they get a lot of opt out requests as you can imagine). If you want to check back on the progress of your request you will need to do it manually as well. Stay organized! 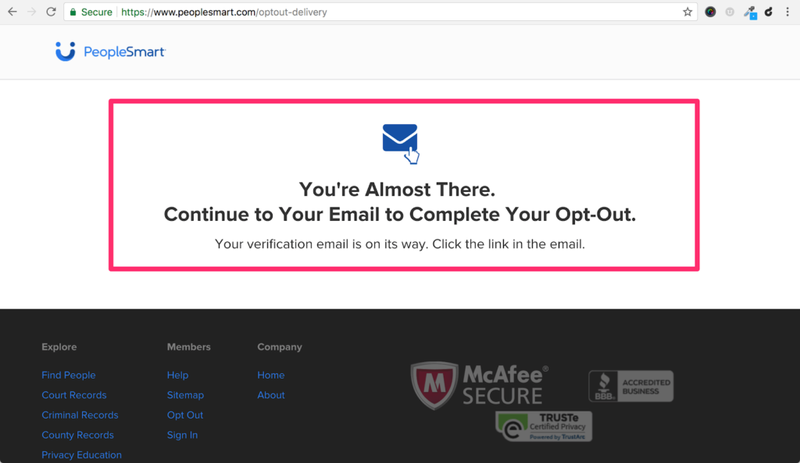 Step 1: To manually run through the PeopleSmart.com opt out steps, start by visiting this page. Enter your first and last name, and your city and state, then click the “Find My Listing” button. 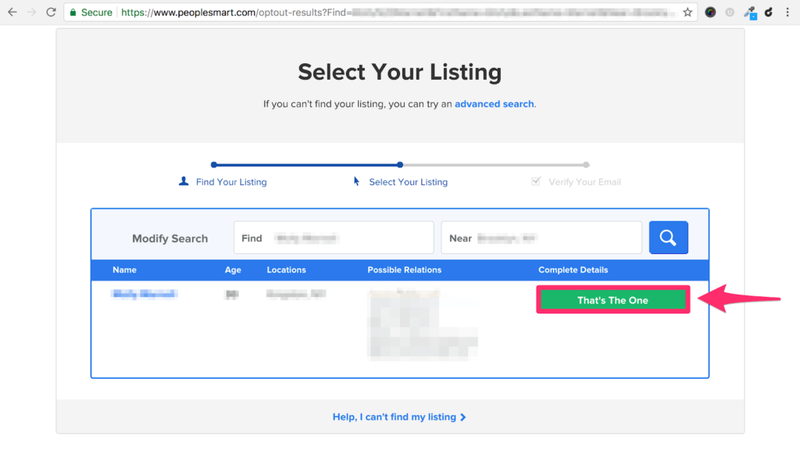 Step 2: If you see your listing, click the “That’s The One” button. Step 3: There will be a pop-up that asks who you are opting out for. Click “Yourself” unless this is for someone else. Then click the “Submit” button. Step 4: You will need to then verify your email. 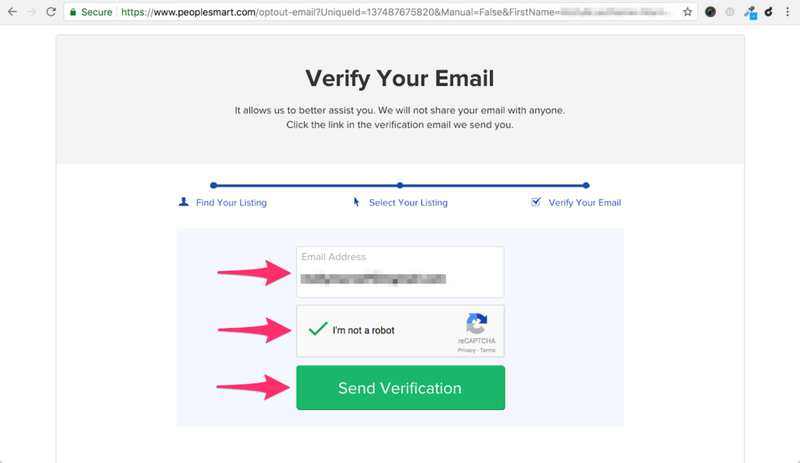 To do this, submit your email address into the Email Address field, check the box to prove you are not a robot, and click the “Send Verification” button. Step 5: You’re almost there! Continue to your email account to complete the opt-out process. Step 6: Open the email from PeopleSmart. Click on the “Complete Opt-out” button. Step 7: Click “OK” button on Opt-Out Complete page. When it comes to removing your name or opting out of databases like PeopleSmart, remember that this will be an ongoing effort, and it’s not over once you’ve filed a removal request. In addition to the processing time, there’s a very strong chance that this same information is available on other sites. You see, people search sites pass information back and forth to each other on a regular basis. It’s a tactic they use to ensure they have as much information on their sites as possible. Another shady reality is that many of these sites are owned by the same people. Their goal is to set up a large network of these sites to maximize profits and make it as difficult to remove information as possible. So don’t finish the PeopleSmart opt out steps and think everything is settled! If you use our software you won’t have to spend time keeping track of all this (although we do recommend you understand the landscape for your own sake). If you want to do it yourself you’ll need to stay organized and diligent about keeping your personal information safe. Unfortunately it’s the reality of the times we live in. 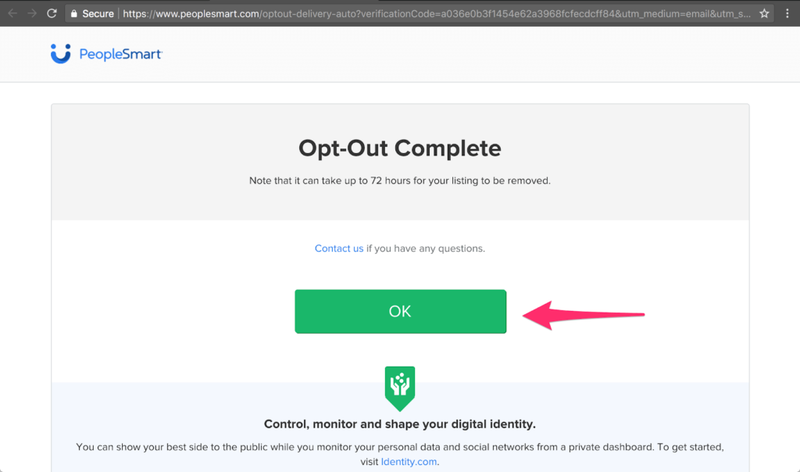 You now know how to opt out and remove yourself from PeopleSmart, and hopefully have a better understanding of the overall landscape of private info website. While it might be tempting to ignore, checking in on your online privacy from time to time is something we can’t recommend enough. The sharing of sensitive information online isn’t going anywhere. The more you stay up to date and aware of what’s going on, the more protected you’ll be.